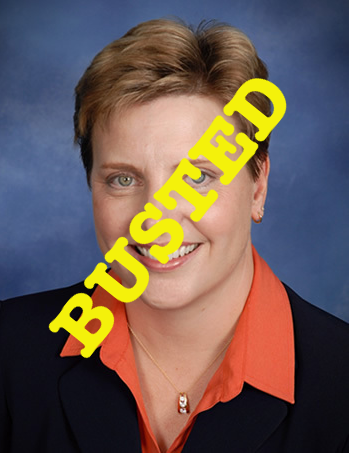 Lie First, Lie Always: The Reverend Nancy Nord Bence Can’t Seem To Tell The Truth. Ever. My first carry permit instructor, the late great Joel Rosenberg, drilled into his students’ heads one key, overarching idea; that shooting in self-defense was, at best, the second-worst possible outcome to an incident. “You’re setting off a nuclear bomb in your life”, he said. Shooting in self-defense is fraught with peril, for even the most law-abiding citizen and the most legitimate shoot. You must not be a willing participant in the incident. You can’t start a brawl, and then draw your gun when someone pulls a knife. You must reasonably, immediately fear death or great bodily harm. The force you use must be reasonable; you can only use it to end the immediate threat to your life. You must make a reasonable effort to disengage. One exception in Minnesota is when you’re in your home – which means “within the walls of your domicile”. There was a shooting over the weekend in Madelia, Minnesota. The Strib’s John Reinan was on the hagiography beat (a Strib specialty. The Southern MN News stuck to the facts. If I had to guess, bsed on the information we have in front of us right now (and Berg’s 18th Law would tell us that relying on the media for actual information is dodgy at best), I’d suggest that shooting at someone’s car to blow out a tire as they’re fleeing is legal in Texas, but probably a bad move under Minnesota law. Again, just guessing, and the shooter, David Petterson, is innocent until proven guilty. But I’m not here to talk about the case, or the media’s reporting of it – not this time. I’m here to continue my mission of making sure every single sentient Minnesotan knows that “Protect” Minnesota, even more than most criminal-safety groups, are to fact what “Baghdad Bob” was to journalism. 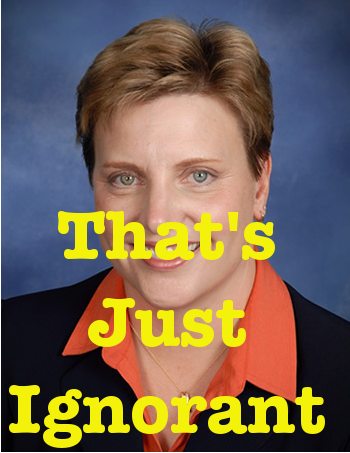 The blood was barely dry before The Reverend Nancy Nord Bence – “P”M’s “executive director” and one of about half a dozen actual members – released her opinion. We are already hearing chatter from the gun lobby about how unfair it was for law enforcement to charge David A. Pettersen with second-degree manslaughter and intentional discharge of a firearm in connection with the shooting death of Nicholas T. Embertson in Fieldon Township on Saturday. They are saying that this case demonstrates why the Stand Your Ground bill (HR0238), introduced earlier this session by Rep. Jim Nash of Waconia, should be passed. Not sure what “Gun Lobby” the Reverend Nord Bence is referring to – neither GOCRA nor MNGOC nor the NRA have publicly opined on the case. Minnesota Gun Rights is a potemkin organization – a scam, if you will. They are not “the gun lobby”. They also don’t know the law much better than Nord Bence; “Stand Your Ground” is useless if you don’t reasonably, immediately fear death or great bodily harm. Not to do the county attorney’s job, but under Minnesota law, shooting at a fleeing car might not fly in court. Preacher, Heal Thyself: The Reverend Nord Bence – like her predecessor, Heather Martens, has yet to make a single, original, substantial, true statement on the issue of guns. I’m not sure she’s “lying” – telling untruths when you don’t know any better is merely ignorance. The Nash Stand Your Ground bill is dangerous for many reasons – not the least being the serious risk it would pose to communities of color and immigrants in our state. Nord Bence keeps saying this. I’m not sure she could even tell you why. I’d guess it’s because one of her superiors in the Criminal Safety movement told her “FEELING THREATENED BY A HOODIE JUSTIFIES MURDER” or some such twaddle. And again, as we noted a few weeks back, Nord Bence is either legally illiterate, or lying, or both. While Minnesota’s self-defense laws are a marvel of unclarity, they are pretty clear on the point that you have to have an immediate fear of death or great bodily harm that you can convince a jury is “reasonable”. Will “teenagers speeding away in a car” pass muster? I wouldn’t bet on it. The Pettersen case demonstrates why it is so important that law enforcement personnel retain the right to do their job and determine when charges are warranted. And Nancy Nord Bence demonstrates why “getting your information from “Protect” Minnesota is actually worse than getting no information at all. This entry was posted in Lie First, Lie Always and tagged Rev. Nancy Nord Bence by Mitch Berg. Bookmark the permalink. Reported facts do not look good for the homeowner. Probably not a permit holder or he would have heard that property is never worth shooting someone. For reference, does anyone ever send Ms. Nord-Bence explanations of why her claims are full of it, including relevant law citations? Then we could simply say she’s lying because she’d know she’s wrong. Consider establishing a new Berg’s Law: whenever an obvious loser is killed for any reason, someone will explain how he was always laughing and was getting his life together. Forgive me if I don’t consider being 2 credits shy of a GED at age 19 or getting stoned munchies at 2 AM or casing a house to burgle and get more drugs to be indices of any kind of positive character traits. I’d be willing to bet the .45 handgun used to shoot him would’ve been part of the loot. Feel bad for the homeowner. Nobody not in a movie shoots someone dead in a moving car. Golf doc: Here’s the deal – either I steal your gun and shoot you with it, or you shoot me with it first. No rash decisions. Take your time. Consult your favorite ELCA reverend if you like. Btw, what I found curious about the original Strib article was the last paragraph where they thought it was newsworthy to report the size of the home and its last selling price and other details. NW: As of right now, there are no details of the selling price. Just “The house, an imposing, modern structure a few miles outside of Madelia, sits on a heavily wooded bluff overlooking the Watonwan River valley.” To my cynical mind, this is included to show that Pettersen is an evil financially successful man, who wants his privacy (distrusting of others), and likes having his house above the surrounding area (reeks of superiority). They do have a picture of the house. I wouldn’t call that imposing. It’s probably in the $250-500K range. Not a mansion by any means.